It is well-established that the majority of youth offenders cease to commit crime in early adulthood, but the mechanisms behind the shift from a criminal to a conventional lifestyle are not fully understood. The Dynamics of Desistance aims to contribute to this nascent area of inquiry by providing a phenomenological account of the psychosocial processes involved in desistance from crime. Drawing on a variety of methods, including in-depth interviews with repeat offenders and their probation officers, police records and psychometric scores, this book charts the early stages of a journey taken by individuals who exist in the liminal space ‘betwixt and between’ crime and convention. A combination of quantitative and qualitative analysis is used to explore the shifts that occur in desisters’ minds and lives as they make the often turbulent transition to a crime-free life, and the dynamic processes that occur at this psychosocial boundary are described. 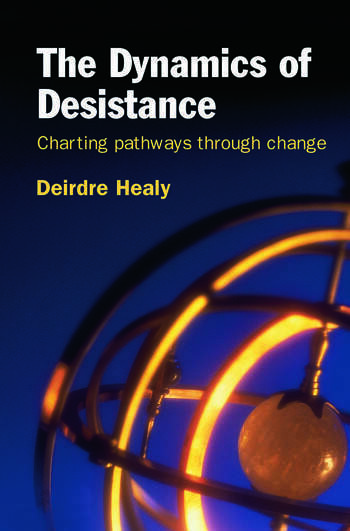 The theoretical and practical implications of the findings in this book are explored in relation to key issues in desistance literature, and as such this book provides a key resource for academics and students working with the area of probation, as well as practitioners in involved in probation, social work and parole supervision. Deirdre Healy is an IRCHSS Post-Doctoral Research Fellow at the Institute of Criminology, University College Dublin. She is currently conducting the Crime, Desistance and Reintegration Study which will provide a detailed account of pathways to (and from) desistance, and aims to identify the psychological and social processes involved in these transitions.